A Costa coffee shop will be coming to Keynsham's High Street after a proposal to open a branch in the town got the go-ahead last month. 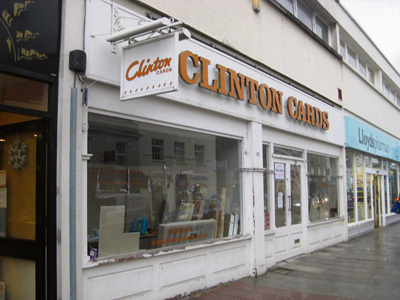 The proposal by South West Coffee was approved by Bath and North East Somerset Council, and will see the former Clintons Cards shop reopened as a coffee outlet. A total of 93 letters were received by the council objecting to the plans, with many stating they felt Keynsham was already well served by cafes and coffee shops and some raising concern at the loss of retail space. There were two letters in support of the application. Local cafe owners also spoke out in Keynshamvoice about their concerns at the plans when they were revealed. Linda Gregg, of Cafe Creme, said at the time: “We need shops to bring back youngsters, high street shops." The decision to approve the plan was made under delegated powers, with officers citing the benefit of bringing an empty building back into use, helping to increase footfall in the area. South West Coffee, which runs Costa coffee shops in Portishead, Henleaze, Whiteladies Road and Gloucester Road in Bristol, has been recruiting for positions at the new branch. No one at South West Coffee was available for comment.